Can God be known through reason or our experience? If so, what can be said about him? These questions are at the heart of the endeavour of natural religion (known today as natural theology), and so are the subject David Hume’s posthumously published Dialogues Concerning Natural Religion (1779). Dialogues is a conversation between three thinkers—Cleanthes, Demea, and Philo—cast as the memories of a certain disciple of Cleanthes. Hume appears to have written the dialogue to lead the reader to the conclusion that to believe in the god of natural theology is to make a pointless concession: it is a vacuous affirmation of a remote analogy between the first cause of the universe and man, an affirmation that can have no impact on everyday thinking. This end is far from where Dialogues begin: Hume opens Dialogues with the question of natural religion in general—what priority should be given to it in education? The question at first is this: assuming god exists, what can be known about him from natural religion? It quickly becomes more serious when the very possibility of knowing that god exists from natural religion is called into question. Cleanthes, Hume’s portrayal of a deist or natural theologian, presents in Parts 2-8 the a-posteriori argument for god—that we can know god exists and is something like man by arguing from experience. Philo, Hume’s skeptical empiricist, and Demea, an “orthodox” Christian, take issue with Cleanthes for differing reasons. Philo objects that a-posteriori reasoning cannot lead to the conclusion of a god anything like that which Cleanthes desires. Demea objects that the god Cleanthes would prove is nothing like the Christian God he knows—at best he is an anthropomorphism, at worst, a vegetable. 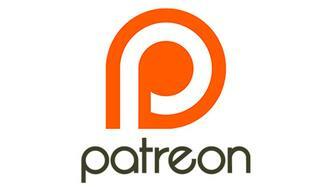 In Part 9, Demea tries to argue for the existence of the God in whom He believes—a necessary being. Both Cleanthes and Philo take issue with this, for a fact (a real existence) cannot be demonstrated (must have the possibility of existence or non-existence) and necessity is a dangerous idea—allowing the world itself to be ineffably necessary. Part 10-11 then take up the Moral Argument, with Demea arguing that God is necessary as an opiate for the misery of man, Cleanthes that good outweighs evil, and Philo showing that any god whose character is derived from our experience will be evil (as is the simplest explanation). In the last Part, 12, Cleanthes argues for the moral necessity of the postulation even of a finite anthropomorphic god and Philo concedes that the religious man can make no objection to the affirmation that the first cause of the universe bears some resemblance to man, but such an affirmation can have no effect on practical life. The arguments Hume raises in these 12 parts address many theological and philosophical problems present in his day, many of which remain today. Much of the debate revolves around the concept of analogy, just how much can we know about God if we start from man. Demea frequently raises issue with Cleanthes’ inductive (a-posteriori) natural religion because it can only prove an anthropomorphic god. That is, if our language for talking about God begins with man, the best we can prove is a manlike god—even if we extrapolate predication to an infinite degree (it is still ever the attributes of man greatly magnified). For Demea, who believes in a mystical, ineffable God, this proves to be a tremendous issue: natural religion, by describing god in the language of man, reduces him—to some degree—to the level of man. Cleanthes is forced to admit this in the end, when he agrees that the god he proves is finite and manlike. Hume also raises the theological problem of Evil, though in a way quite different from its contemporary forms. Usually the Problem of Evil is used to prove that God cannot exist, but Hume uses it to show that natural theology cannot prove an infinite good god. He argues that it is possible, if we already knew that God existed, that the evil in this world is compatible with infinity and goodness. But if we are trying to know god or prove his existence through our experience—as natural religion attempts—at best we can demonstrate an impotent god, if not an evil god. Thus natural religion cannot establish the truths of the Christian religion, argues Philo. These challenges are devastating to natural theology; after Hume, the interest in natural religion—in building a doctrine of god from nature—died quickly. Yet, these arguments are not so devastating to Biblical Christianity. The problems of predication, analogy, remain for mystical forms of Christianity. But for a theology that believes God has revealed Himself, Hume’s arguments are impotent. With such a basis, evil is explained not by imperfection in God but by the fall of the first man and women (of course it gets more complicated than this, but there are answers based on Scripture). Though I concede that analogy cannot prove God in the way Cleanthes sought, once we know from His own revelation that God exists, the world we see fits remarkably well: a-posteriori reasoning fails as a proof for God but serves well to support His self-attestation in Scripture. Finally, Revelation offers an alternative to man-centred analogy. God reveals in Scripture that we can know Him and that there are resemblances between the creator and the created because He intentionally created man in His image: God made man in such a way that we are finite reflections of the infinite. This is, then, the opposite of anthropomorphism: the God in Scripture is not accommodated to man, but the finite man is made like the infinite God. Biblically, we reason from God to man, not from man to God. 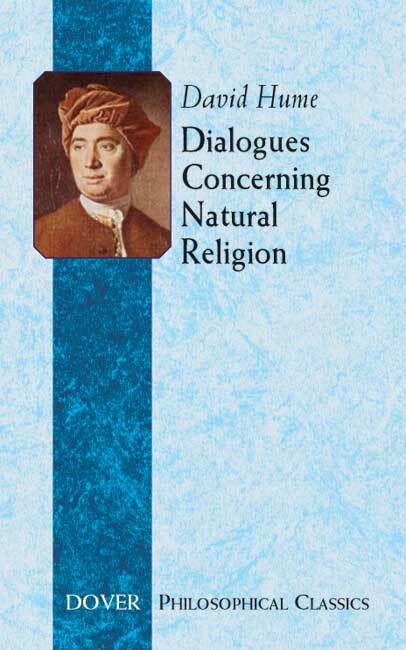 Hume’s Dialogues Concerning Natural Religion is an incisive and thought-provoking work. It is effective in showing that, as far as philosophical theology goes, the emperor has no clothes. However, it misses the mark as a critique of Biblical Christianity; it is only successful if the possibility of revelation is ruled out a-priori.